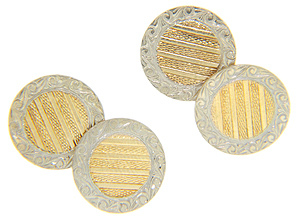 These circular 14K yellow gold antique cuff links highlight linear patterns at the center contrasted by flowing designs in white gold around the edges. 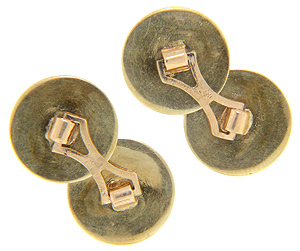 The art deco cuff links measure 9/16” in diameter. Circa: 1920.